An Ontario tenant who reportedly has been evicted seven times and served time for lying on a rental application is in the eviction system once again. According to a report by the Toronto Star, the woman moved into a new rental home and then failed to pay rent. Her landlords, a retired couple, have been pursuing an eviction since last August. Between past due rent and legal fees, they claim the tenant owes them around $30,000. At the heart of the problem is the fact that Ontario’s Landlord and Tenant Board protects the names of tenants involved in eviction cases, even where those same tenants are evicted time after time. It took diligent research by investigative reporters from the Star to uncovered this tenant’s long string of evictions and chronicle the income loss from seven other landlords since 2005. Reporters scoured appeals records, which are made public, and spoke with the previous landlords. By filing multiple appeals, professional tenants such as this can drag out the eviction process for months before they are forcibly removed. Meanwhile, these tenants live rent-free, and their landlords lose thousands of dollars. Often, a problem tenant will seek a new rental and move out just before the final appeal is heard. These scammers tend to target smaller landlords who manage one property in order to exploit the lack of experience with tenant screening. Last year, this tenant was convicted of criminal fraud after it was determined that she intentionally mislead her previous landlord by including false information on her rental application. The woman lied about her employment, failed to reveal alias names, and may have used a family member as a reference. After serving time for fraud, this tenant allegedly again used a false name to secure a new lease on a rental home. According to the report, the landlords failed to run a tenant credit check which likely would have exposed prior judgements before providing this repeat offender a new place to live. The landlords did, however, receive good references from the contacts provided. 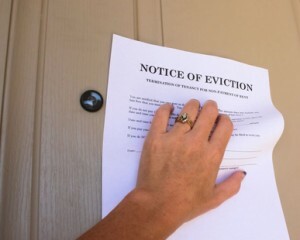 The tenant has been battling the latest eviction by claiming that her landlords abused her, violated her privacy, and that she had offered to pay them the rent but they didn’t come by and pick it up from her, according to the report. The Ministry of Municipal Affairs and Housing indicated that the provincial government is open to considering ways to encourage smaller landlords to provide rental housing, including making changes to the RTA to streamline the eviction process and reduce income loss. When choosing tenants, it is too risky to rely on a “gut feeling” because problem tenants can be quite charming, at least in the beginning. It’s critical for all landlords, especially those who manage only one or a few units, to commit to running credit checks on tenants. Other crucial steps in tenant screening include requiring a photo ID, and verifying the information in the rental application. Each step taken to cross-check information makes it that much harder for a problem tenant to pull off a scam. This woman sounds like the one we nearly rented to in Vancouver, but fortunately her scheme was exposed at the last moment and we refused to rent to her. That woman ended up doing a couple of years ‘time’ in Ontario for fraud and proved to be a compulsive liar and professional fraudster. It certainly pays to check all the details and ensure they corroborate – before you hand over the keys! !